Natural disasters and emergencies happen quickly and oftentimes we are not fully prepared. Being properly equipped to meet the needs of your family – and pet(s) – when an emergency does strike, is crucial. Think ahead and follow these pet safety steps now to be “pet prepared”. You’ll feel better knowing that you’ve planned what to do before, during and after a major storm or unexpected emergency. Keep your pets vaccinations current and your paperwork easily accessible. Pet shelters may require proof of vaccination. Be sure to keep a collar with proper identification and rabies tag on your pet. 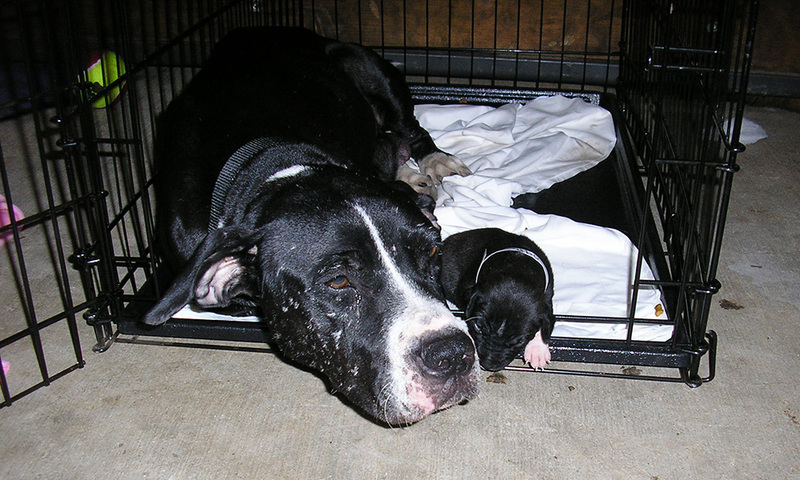 Spay or neuter your pet so it won’t become pregnant, or impregnate other animals, if it is lost in an emergency. A sturdy, comfortable carrier large enough to accommodate each pet for several days. Be sure your pet can stand and turn around in the carrier. At least a 3-5 day supply of food and water, including bowls and a manual can opener if you pet(s) eat canned food. Blankets or towels to keep your pet comfortable and warm. A waterproof container with a first aid kit, medications, medical records, and specific care instructions. Cleaning supplies: newspapers, plastic bags, disinfectant, paper towels, etc. Current photos and descriptions of your pets in the event you are separated (be sure you are in at least one picture with your pet to help prove ownership). A current list of emergency contact numbers including your vet, animal shelters, friends and relatives. Be sure to properly identify all belongings with a permanent marker. Bring your pets inside well in advance of a storm and reassure them. Never leave a pet chained outside. Pets can become frightened by unfamiliar noises. Keeping your pet within sight when possible will reassure him. Never tranquilize your pets. It will inhibit their natural survival instincts that they need to escape potential danger. Have your pet emergency kit handy. Help re-orient your pets to their home by walking them on a leash. They may be confused or lost if landmarks and familiar scents are altered. Be careful of downed power lines, debris and reptiles brought in with high water that could pose danger. 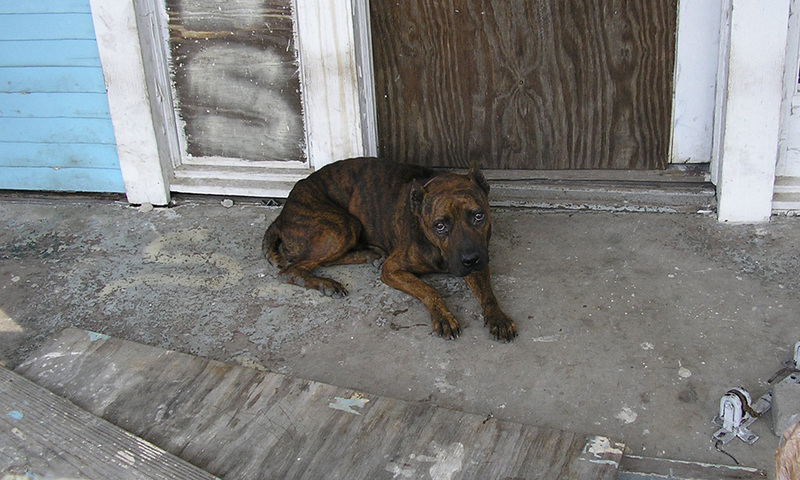 Contact your local animal control office if a pet is missing, to find out where lost animals can be recovered. Bring a recent picture of your pet, and microchip number. Don’t allow your pet to drink water or eat food that may have been contaminated. 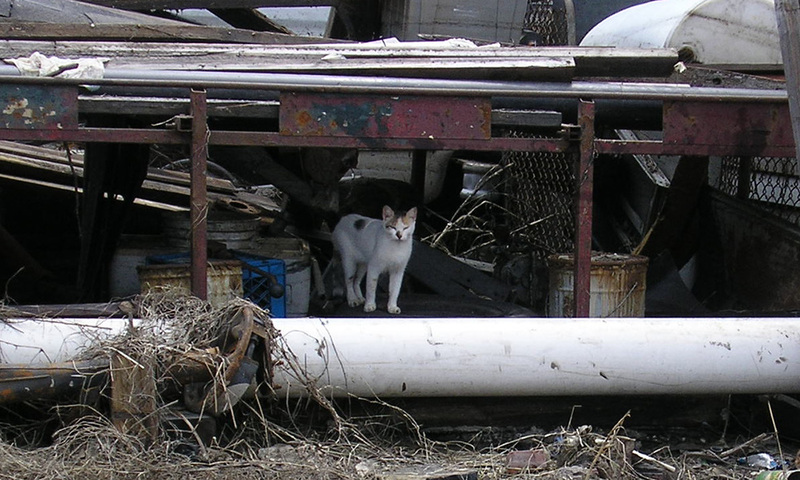 Animals can become aggressive or defensive after a disaster. Monitor their behavior and contact your veterinarian if it does not subside. In the days and weeks that follow a natural disaster, displaced people and companion animals face many dangers. Areas that experience extreme flooding can create hazardous, life-threatening situations for helpless strays and displaced pets. Entire communities have disappeared from these flood-ravaged areas. Homes, landmarks and familiar scents that animals use to find their way home or recognize safe areas have simply vanished. This causes disorientation, panic and stress and leads dogs and cats to seek refuge in hazardous situations. Floodwaters contaminated with waste and bacteria cause intestinal parasites and gastroenteritis. Most forms of water-borne bacteria are transmittable to animals and humans, resulting in widespread infection. Animals trying to swim in floodwater can quickly become exhausted and drown. Downed power lines and the extension of water hazards expand the territories of alligators and snakes that pose a deadly threat to dogs and cats. In addition to water supplies, food sources can become contaminated. Displaced dogs and cats are frightened, lost, thirsty and very hungry and do not understand that they should not drink standing water or eat food they may find.